Throughout the Bible decrees were used to proclaim the Lord's power, and in her new book, Brenda Kunneman explores how we can align with that power. Want to experience more of God's power? Proclaim the words of the Lord! There are words from Heaven that the King of kings wants you to decree! Like Jesus, believers must listen for the Father's voice and declare what He has spoken. When you boldly decree God's word, your words are saturated in the supernatural life and creative power of the Kingdom! Respected prophetic voice Brenda Kunneman has compiled a series of powerful decrees that were birthed in the heart of God, shared with her, and now imparted to you. These legal decrees will empower you with tools to overcome impossibilities, position you for new levels of blessing, and prepare you for supernatural encounters. Confessions that release blessing: Decrees backed by Scripture that you can confess boldly! Declarations that unlock breakthrough: Prophetic words that will help you overcome specific adversities of life. Proclamations that unleash destiny: Points of agreement between you and God, that allow you to prophetically announce what He is saying about your life and future. Declare the words of the King, and claim His promises today! 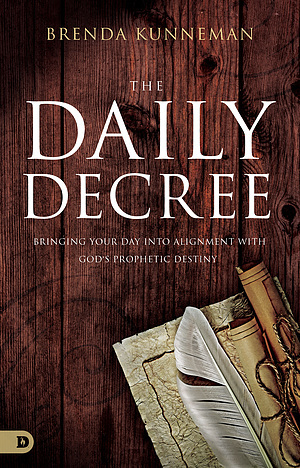 The Daily Decree by Kunneman, Brenda was published by Destiny Image in June 2019 and is our 6757th best seller. 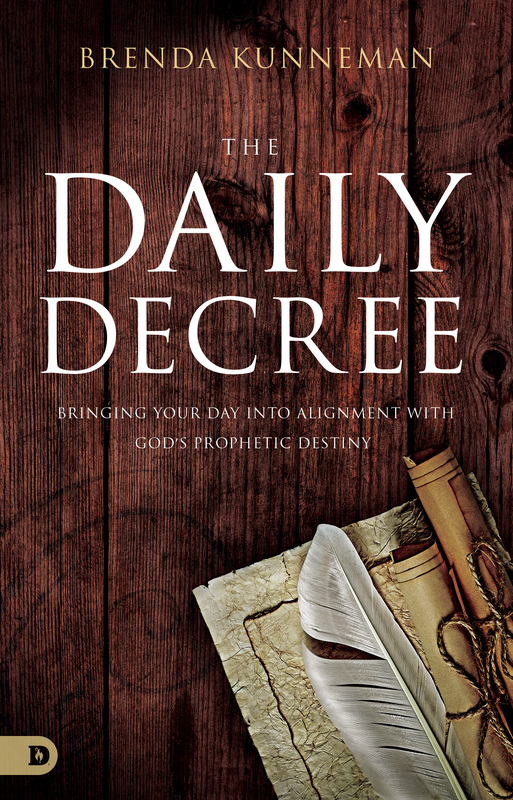 The ISBN for The Daily Decree is 9780768447897. Be the first to review The Daily Decree! Got a question? No problem! Just click here to ask us about The Daily Decree.